Cryptocracy (out April 24th), is the debut album from Scandinavian electronic artists Huoratron (real name Aku Raski). It may be a debut album, but there's certainly nothing new about Huoratron's sound. From the opening notes of the album's title track, it's plain to see that he is painfully derivative (even in a genre that's renowned for being painfully derivative). Whether it's the tediously repetitive opener, which owes it's existence to Aphex Twin, or whether it's the recycled Chemical Brothers wet fart beats of "Bug Party", there's precious little originality on offer. "Dungeons & Dungeons" and "A699F" are mind-numbingly bland. Later, "Sea Of Meat" is the sound of your satellite radio cutting in and out on an overcast day, with all the appeal that phenomenon holds. Most offensive is "New Wave of Mutilation", which doesn't bear any resemblance to the Pixies classic that it's name after. A maelstrom of limp blips disappoints. 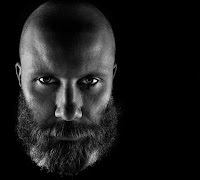 Huoratron is being billed as hailing from the deepest darkest corner of Scandinavia. He probably should have stayed there. Try to be constructive at least.